Besides your friends insisting that they’re pregnant or engaged, April Fool’s Day has become more about companies announcing fake products than actual pranks. These “pranks” employ varying levels of humor (frequently none), but now that we’re all bored on a Monday and the companies got it all out of their system, why don’t we take a look back at the ones that at least managed to elicit a chuckle? 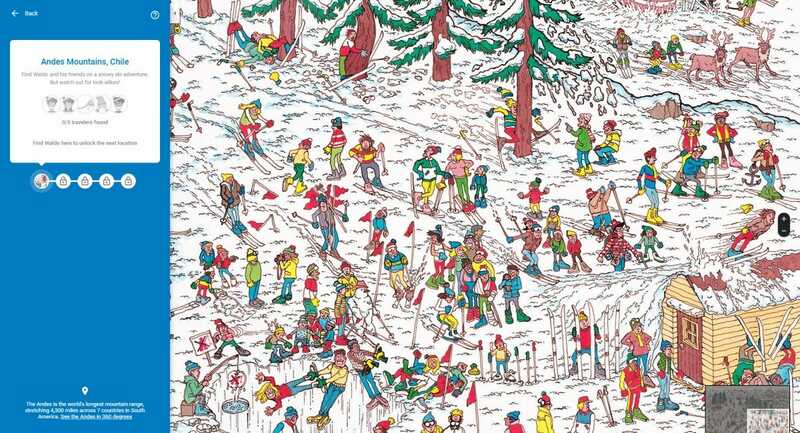 Where’s Waldo in Google Maps: Hello, friends! Google’s best prank every year isn’t a joke or fake product. It’s wasting your time. 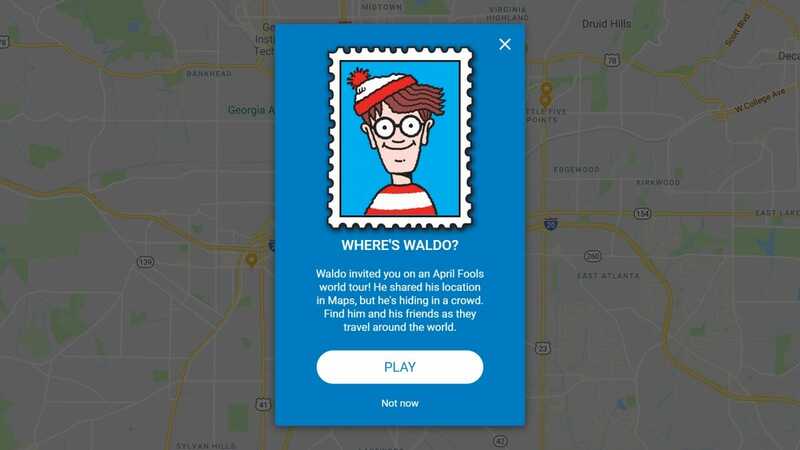 This year’s time waster is an all-too fitting Where’s Waldo game tucked inside Google Maps. The game features a series of levels with classic style Waldo pages where you can find Waldo, his friends Wenda and Wizard Whitebeard, his evil twin Odlaw, and the infuriatingly tiny tail of his red-and-white-striped tiger, Woof. Just in case you thought Google missed out on ruining your productivity because this came out on a Sunday, the game will be available all week. April Fool’s! Google Cloud Hummus API: We’re extremely excited to share with you our latest Google Cloud groundbreaking technology: After enabling our customers to address senses through Speech & Vision API, we are now releasing a subset of Taste APIs started with a dish we all love – Hummus! This one comes from Google Israel because yes, basically every single division of Google gets its own April Fool’s prank. This one, however, seems most likely to be real some day. If there isn’t already a Google engineer somewhere trying to deconstruct the sense of taste to analyze it and run ads against it, then there will be after today. Google Bad Joke Detector: Once and for all, remove all the bad jokes from your phone with Files Go. Chromebook Renewable Charging: Chromebooks are known and loved for their long battery life, but alas, sometimes you can lose your charger. 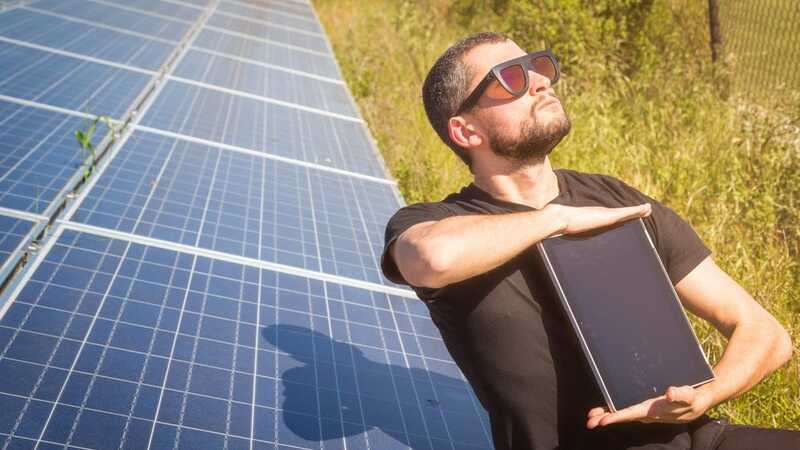 So the Chrome OS team had a few sparks of creativity to generate renewable ways to keep your Chromebook running anywhere. You see, the joke here is that you can plug charge your Chromebook with wind or by setting it out in the sun. Or plugging it into some compost? Unfortunately, all this really does is make me wish it were actually feasible for all my gadgets to charge with solar power. I kind of resent my Chromebook just the tiniest bit now. Good prank, Google! Gboard Physical Version: Today, we are proud to announce the new Gboard Physical Handwriting Version. Gboard is Google’s virtual keyboard. It’s fine. Japanese, however, has a more complicated writing system with 46 unique characters for just one of its three writing systems. The Google Handwriting Input app lets you write Japanese characters, rather than memorizing where they all are on a complex keyboard. Okay, now that you have a solid expository foundation, here’s the joke: Google Japan invented a keyboard that lets you swipe across physical keys to “write” Japanese characters. So that it’s simpler. They also say they’re going to expand this technology to other surfaces like flip phone keyboards, abacuses, and corn. Incidentally, this is not the first time that Google Japan has joked about inventing a keyboard that lets you write on food. Rick and Morty Screaming Sun Alarm Clock: Sometimes the dulcet sound of birds chirping just isn’t enough to get us up in the morning. We know we have things to do, but the bed sure is warm and cozy. Nothing is going to get us moving more effectively than a clock that doesn’t stop screaming at us for 42 hours. That’ll for sure keep us productive. Or sleep deprived. One of the two. This alarm clock is a reference to a bit from Rick and Morty. It’s an absurd gag that never gets old. 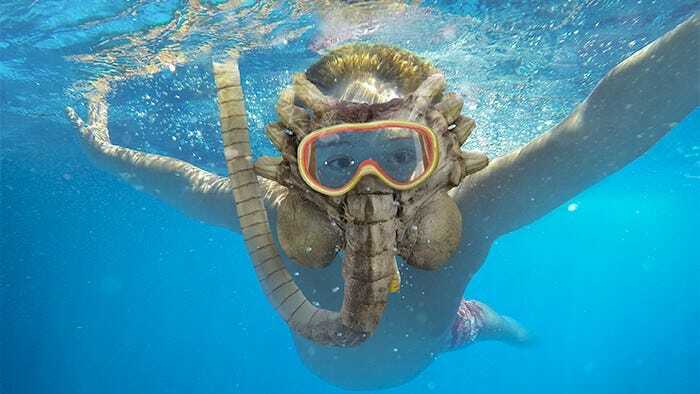 Alien Facehugger Snorkel Mask: Almost nine million people in the U.S. snorkel each year. It’s a fantastic way to relieve stress, create memories while on vacation, and get in touch the wonder of the natural world all around us. And while many stay vigilant about potential attacks by sharks or poisonous jellyfish, there are other terrors lurking in the shallows. Take, for instance, the Alien Facehugger Snorkel Mask, a ThinkGeek exclusive. It’s ideal for snorkeling and recreational swimming. Many horrifying creatures wait, lurking just below the surface of the sea. As the abyss stares at you with unholy, invisible eyes, arm yourself with your own Giger monstrosity to stare back. 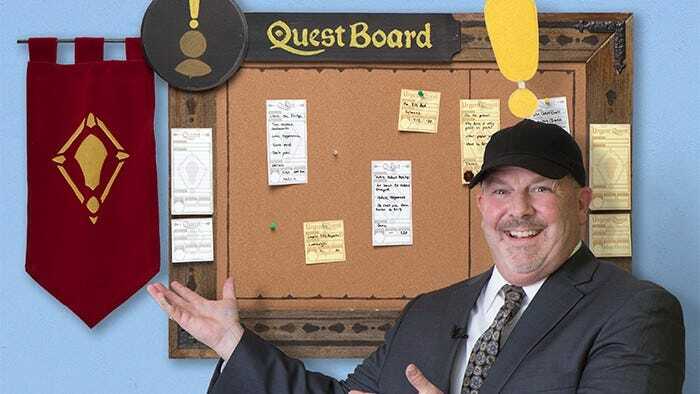 Quest Management Kit: ThinkGeek’s Quest Management Kit will bring out the best in you and your team. We do that by teaching you to leverage unique motivators, gamifying the experience of work by turning your team’s objectives into a series of quests. Empower your employees to take on challenges they choose for the reward of “XP” – which can be redeemed for whatever sort of reward you deem appropriate – a promotion, a bonus, GeekyBucks. Whatever motivates your employees to achieve their goals. Imagine if you could combine all the fun of office work with all the paper work of D&D. Or is it the other way around? Either way, if ThinkGeek actually decides to make this management kit, your boss could become your newest questgiver, tediously quantifying your achievements and reducing your value to the company to just a few numbers. Okay, I’m not really sure how this would be different from real life. You can find more of ThinkGeek’s fake-but-maybe-real-someday products at their site here. 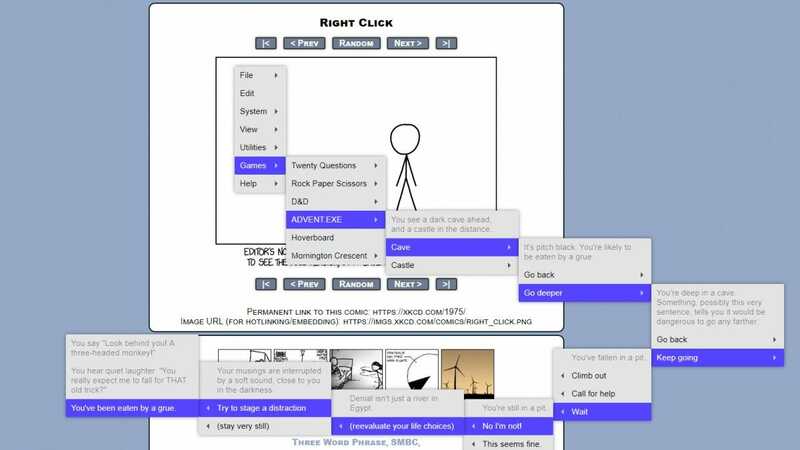 xkcd: In the category of time wasters, xkcd released an interactive comic with a right-click style menu full of games and gags. The page says this comic is best viewed locally and suggests downloading the image, which is kind of a prank to get you to right-click. Like Google’s main joke, though, the real prank is how much of your Monday you’re going to waste playing with it. 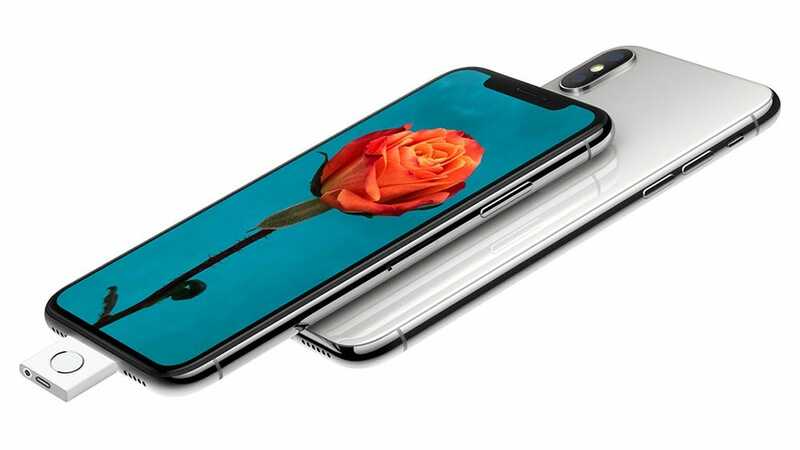 Phone Arena: Apple is about to release something that people have been clamoring for ever since the first wave of iPhone X leaks last year – a physical home button! What’s more, the new home button add-on will also have Touch ID, which is sure to appease those who dislike Apple’s face unlock tech. Kudos to Phone Arena for coming up with an outlandish, unrealistic prank with this Apple dongle to add a fingerprint sensor back to the iPhone X. It’s always nice to see jokes that are absurd and bear no resemblance to reality. 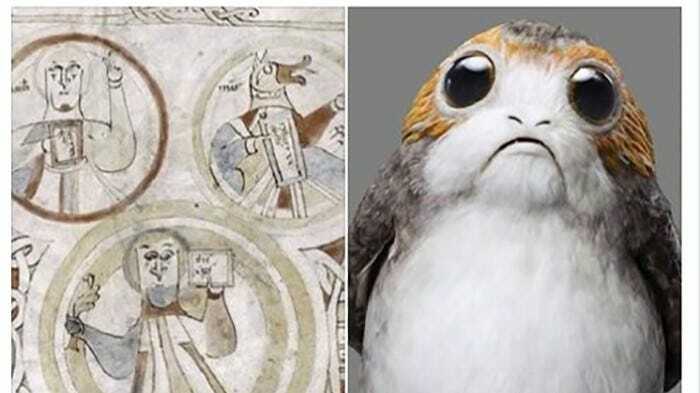 Lindisfarne Research Project: The Lindisfarne Research Project, based at the Department of Archaeology, Durham University, is pleased to announce that following the analysis of the faunal remains from their 2017 excavation that they have made the first discovery of Porg bones from a secure archaeological context. Just to make sure we are absolutely clear here, an archaeological research project schooled every one else on how to do April Fool’s right. Everything above is at least good for a chuckle. Probably. Here’s the rest. This is where we put the companies that all made the same joke, the ones that missed the boat by a few years, and the ones that should get a pat on the back for having the courage to make their very first joke ever. Shout out to all the companies that announced a fake cryptocurrency like that’s not how real-life works already. You probably already have access to Google Assistant, Siri, or Alexa. So you won’t need these fake smart assistants from Southwest Airlines, WestJet, or Online Labels Inc.
News outlets including but not limited to The Guardian, the Daily Express, and The Independent all featured obviously (or in some cases not quite obvious enough) false stories. If any real bad news dropped yesterday, it probably got a temporary pass as we all collectively decide to ignore the headlines until the internet becomes marginally more trustworthy. Duolingo suggested that getting tipsy can help you learn another language, and so it introduced a line of craft beers. This idea sounds good enough that we’d rather not question it. This post claimed that the Pope cancelled April Fool’s day this year and declared we would have two April Fool’s days in 2019 to make up for it. Frankly, nothing else has made me giggle quite as much as this. There are many more pranks around the web, but frankly you’ve probably spent enough of your day on this already. We’ll be nicer than Google or xkcd and let you get back to work. Or, if you have time, you can check out our latest reviews here.